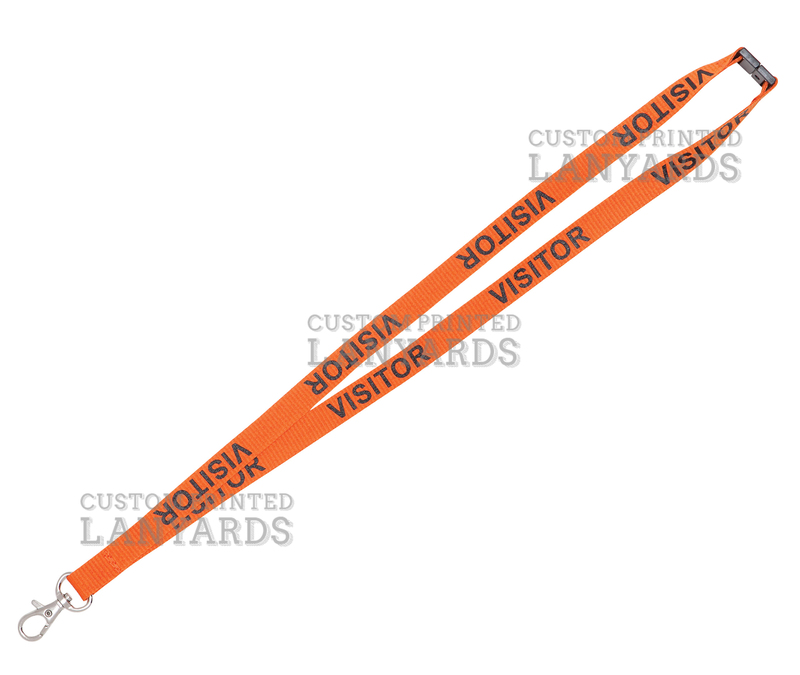 Visitor Lanyards are the ideal way to ensure everyone in your building has permission to be there. Get them to sign in and issue one of these pre-printed visitor lanyards so everyone knows they have permission to be on site. They are made from polyester material with a 15mm width and come standard with a safety breakaway at the back of the neck and a deluxe swivel for holding ID cards. We carry these in stock so they are ready for same day shipping.